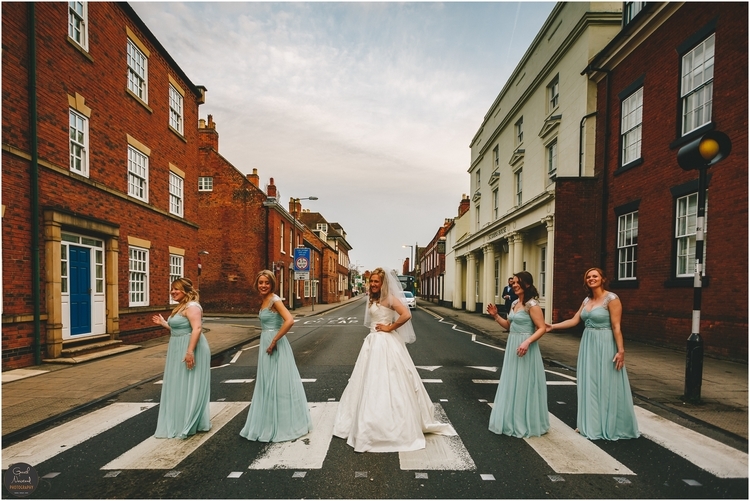 I was so excited when Georgina & Joe first booked me for their Wedding Photography at St Johns house in Lichfield. We hit it off straight away with similar laid back and fun personalities. 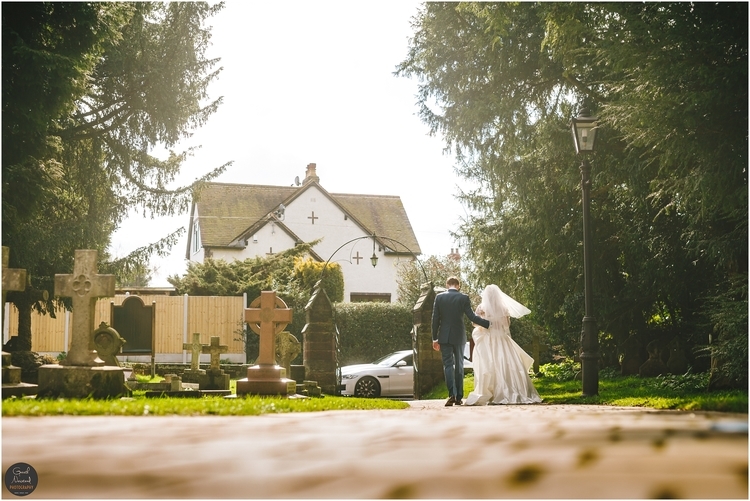 I’d never shot any weddings at St Johns House so was really excited when I saw what a great little gem of a wedding venue it was and only 10 mins from me too in the heart of Staffordshire!! 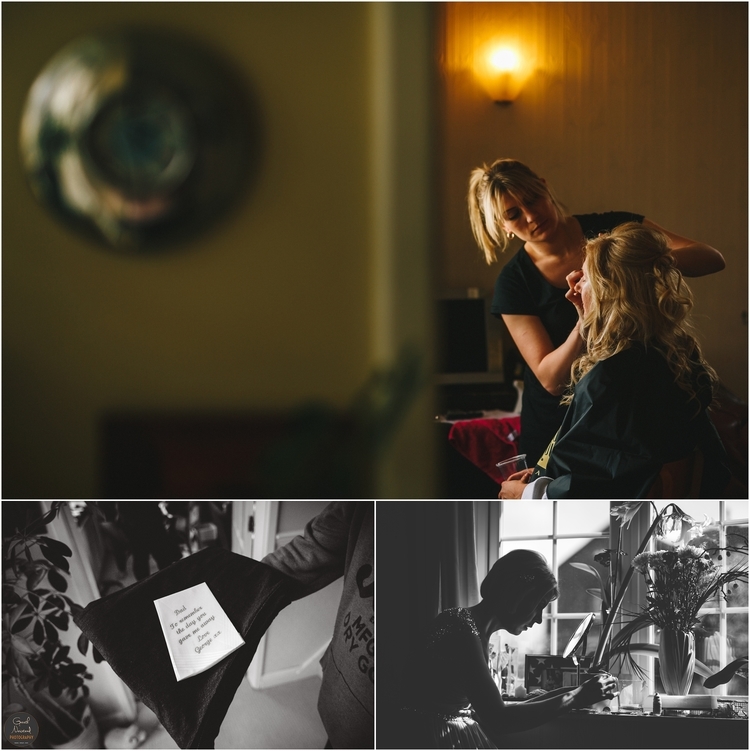 Georgina was getting ready at the same house she grew up in and was accompanied by her bridesmaids, Mum and Dad and other family members including her super cute flower girl. The wedding had such a great family and friendly vibe to it and it all started in the morning when the girls helped me dress myself properly as I was struggling with my new bowtie!! It always nice when you have a mark up artist that understands good light and Rachel Scott did a great job with all the girls keeping a real natural look. Georgina hair was made even more beautiful by the extremely talented Amy Platt. 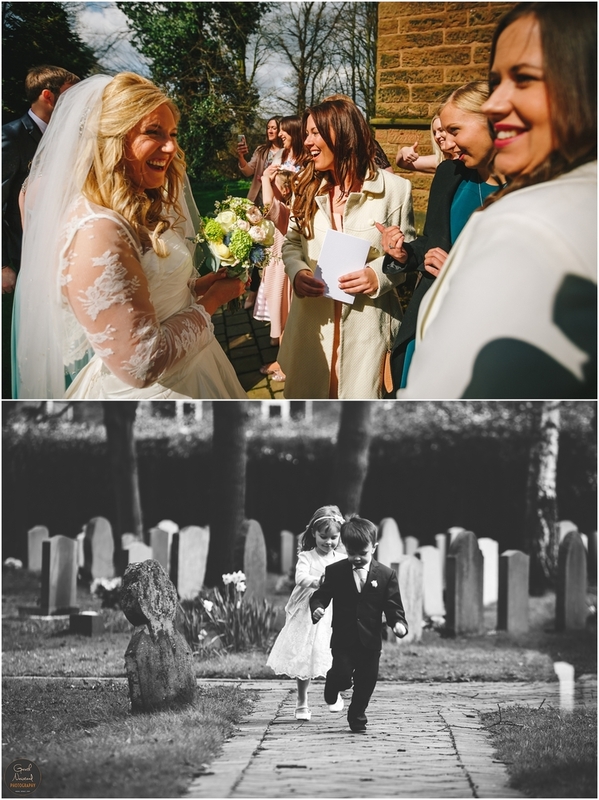 It was such a nice thing to be able to walk with Georgina, her Dad and her bridesmaid as they made the short walk to the local church passing old friends and neighbors as well as the primary school she went as a small girl, such a great sense of nostalgia. As a dad myself to a little girl I can only dream that I get to do this one day. 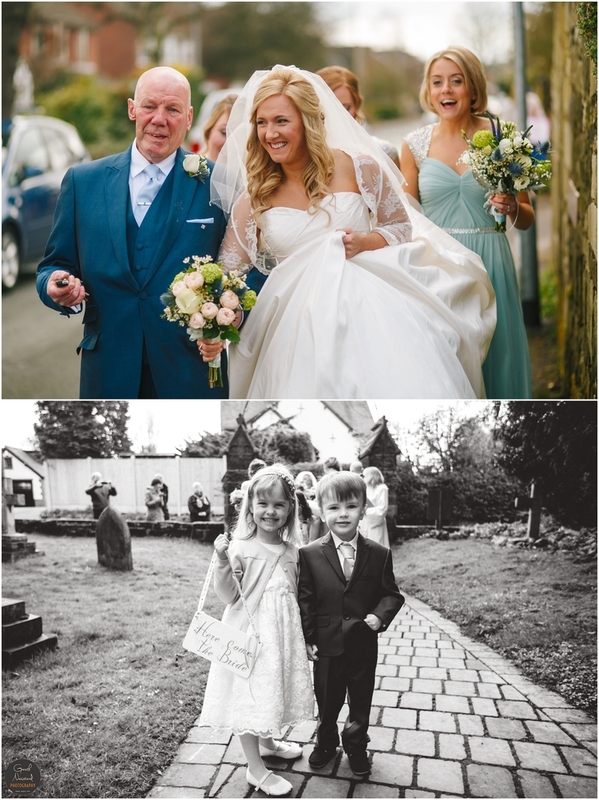 The church on Christchurch lane looked beautiful and provided an amazing backdrop for the ceremony and to achieve some great natural wedding photography moments, a favorite moment of mine was when her dad looked so proud to hand her hand to Joe, without a doubt one of my favorites from the day. 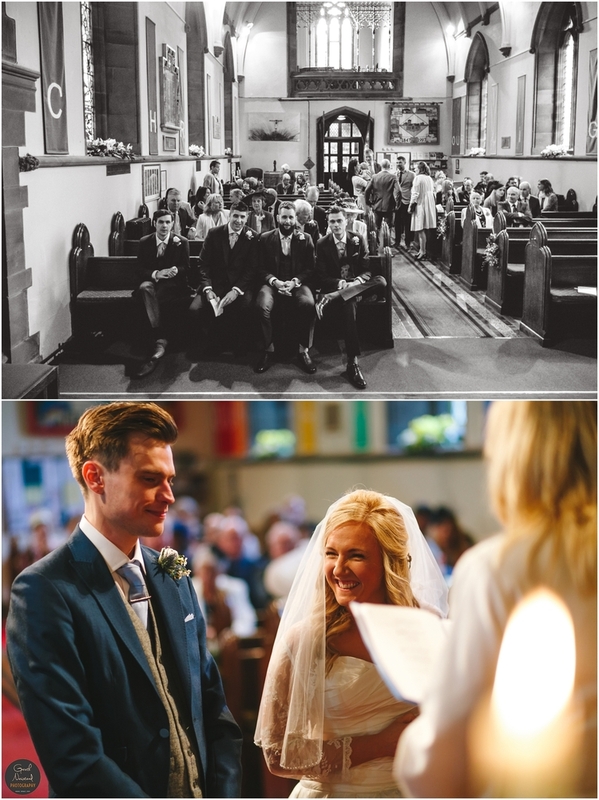 I love shooting in a documentary style and the natural wedding photos are the ones that will always stand the test of time and the true memories from the day. 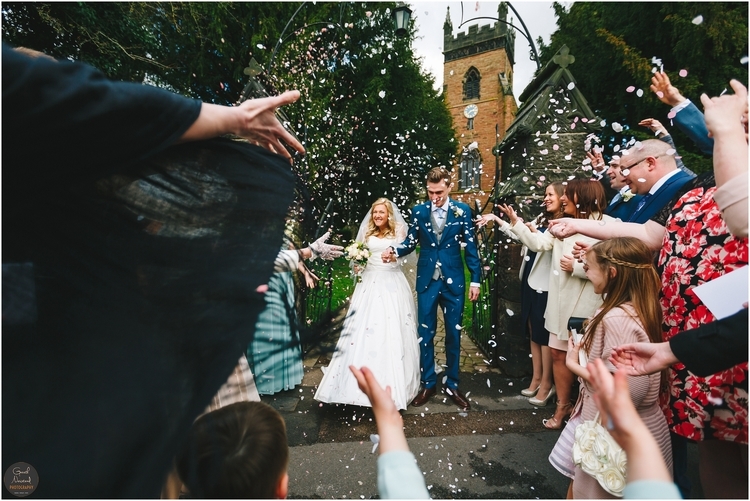 After an epic confetti shot the new Mr & Mrs made their way to St Johns House for their wedding photography. As everyone arrived the amazing team at St Johns house were busy greeting and handing out some amazing canapes. 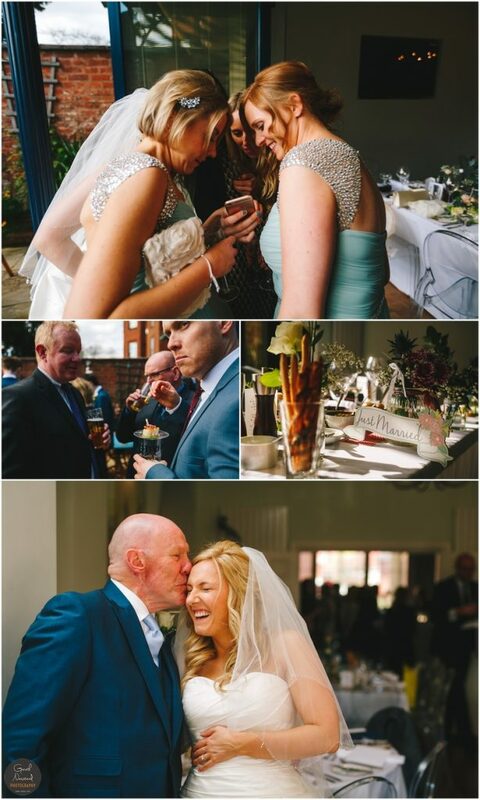 The place looked stunning inside and out and had such a intimate feel almost like having your wedding at a really nice friends house. The massive bi-fold-able doors insured we could bring some of the amazingly gorgeous weather in doors too, seriously it was like an august day! The guests were then called through and it was time for the speeches. Georgina’s Dad gave a great speech which was very emotional and had lots of people in the room in tears, this was then followed by a surprise speech from the groom’s mum too which was lovely moment to capture (and provided Joe’s friends with some material to give him some grief too!!) 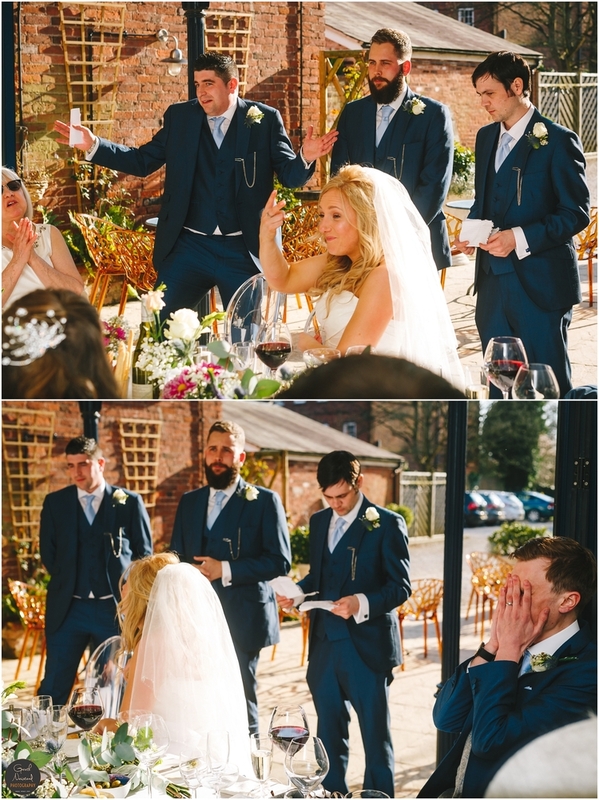 This was then followed by Joe’s speech and then a hilarious triple best man speech which left Joe with his head in his hands! 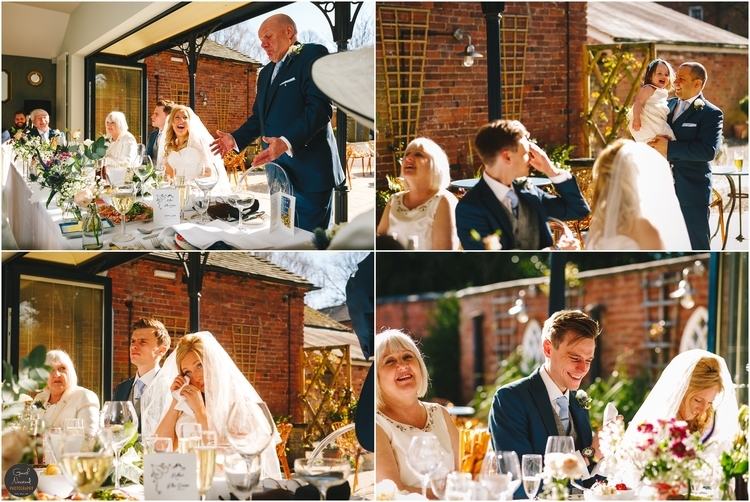 I love capturing lots of great wedding photo moments and natural reactions at this time of day. 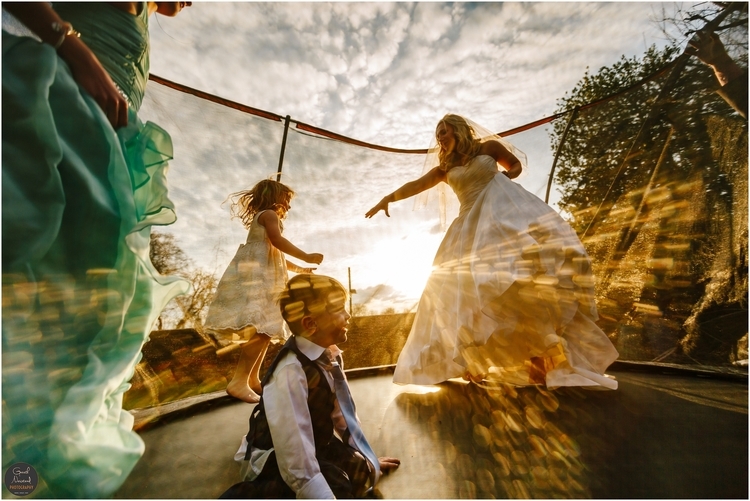 After the meal we were lucky enough to get a gorgeous sunset which made for a beautiful backdrop for some stunning couple shots as well as some of my favorite candid wedding photography moments of the bride with the kids on the trampoline in the garden of St Johns House. 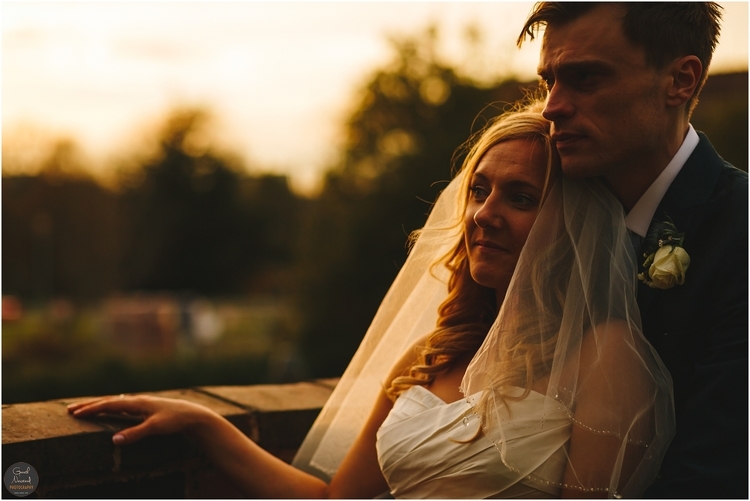 Georgina’s dress by The Bridal Room in Altherstone, looked sooo pretty back-lit in the sunset! 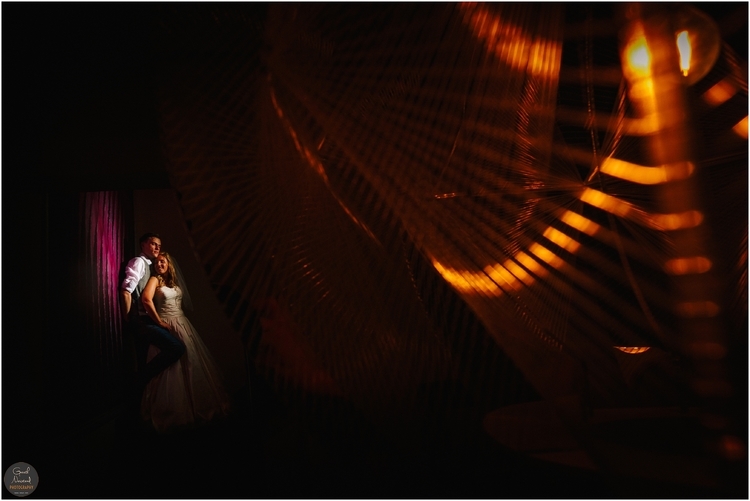 At every wedding I always try to capture some unique shots and the inside of St Johns also provided some lovely areas of window light on the stairs and then we finished the day with my favorite creative wedding shot of the year in front of a cool purple piece of art and a funky light! 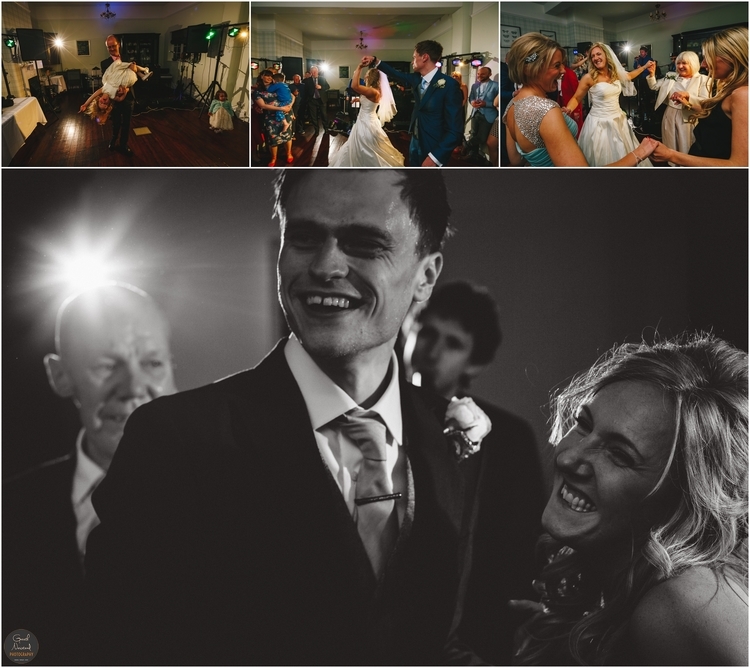 Thanks again guys for booking me to capture your amazing wedding day – it was a privilege, cant wait to get the album sent off and back to share with you. 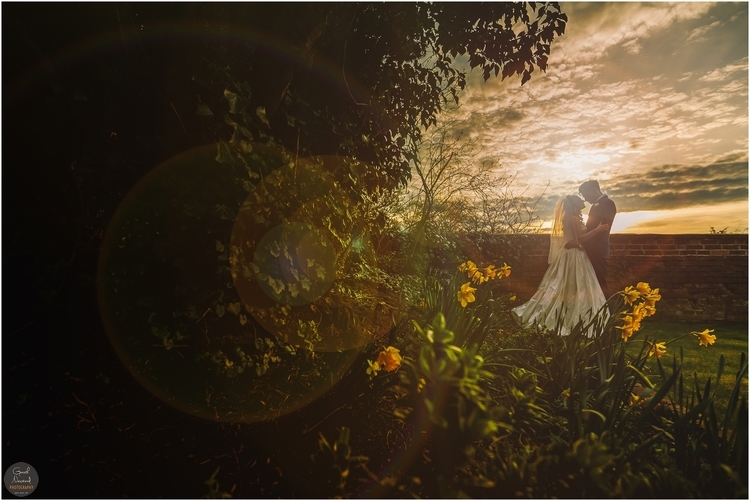 For a slideshow of the day and the full Gallery please click the link below and ask the happy couple or me for the password. 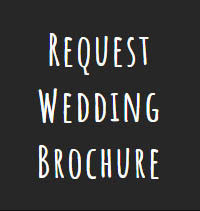 If you’re looking for a St Johns House Wedding Photographer then please get in touch! Great post! 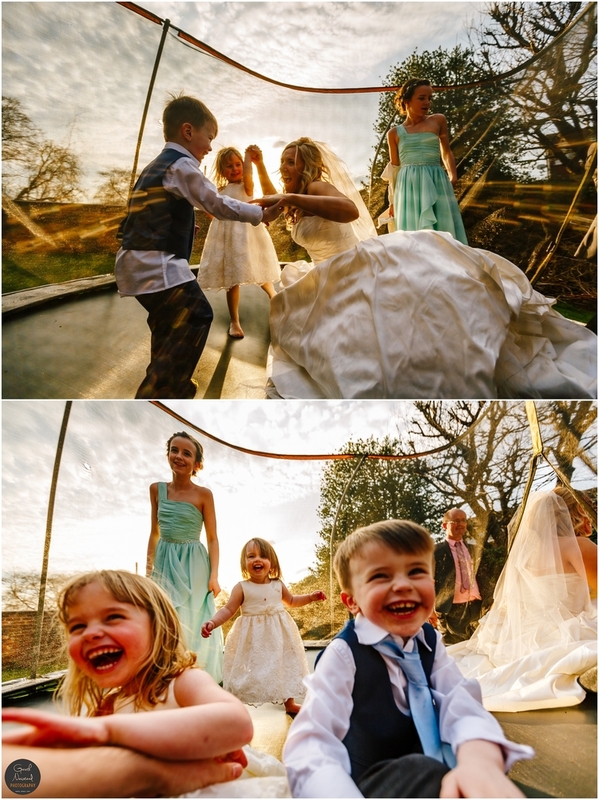 Great set of images!